This wine, bottled in 1977 and brought put tonight by Juancho Asenjo, was in absolutely spectacular condition for all its years in the bottle. 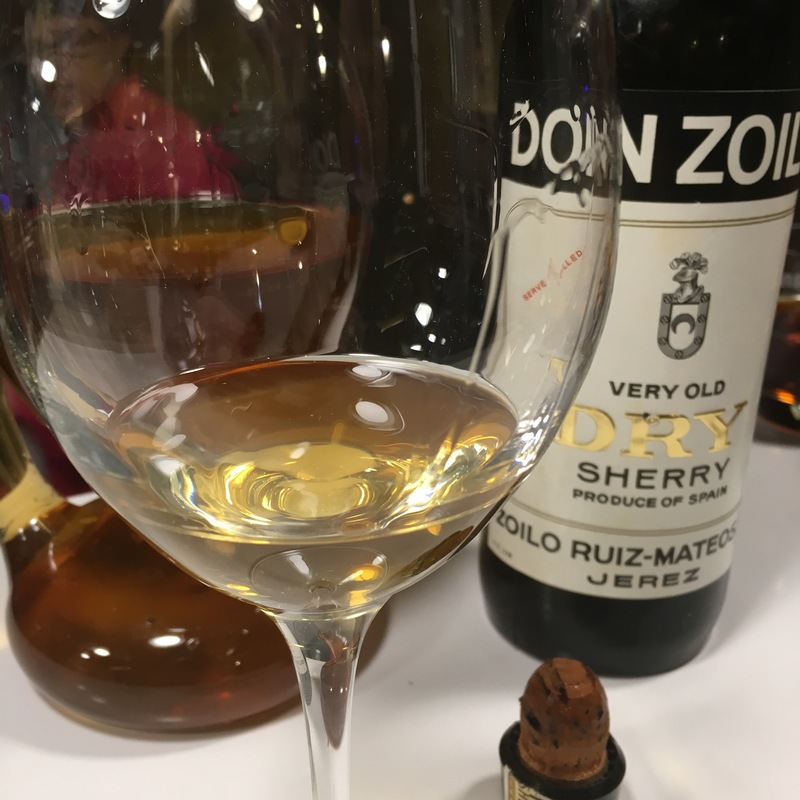 Just look at that colour – beautiful gold and, while not crystalline, you would never say this first glass was a 40 year old. First up it has a little bit of salty seaweedy reduction on the nose, but on the palate it is is brilliant. It has a soft, buttery texture and is full of flavour. Whereas a 40 year old table wine can whither away, this is still all there: a zingy start, then nice intense almonds and and a smooth, rich and saline finish. An oldie but a very goodie. Thanks again Juanjo!